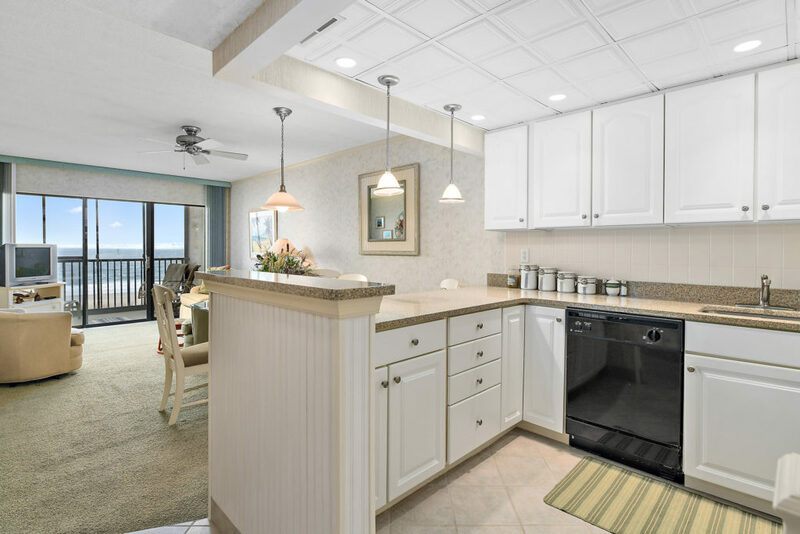 Just Listed: 307 Bonaire, Ocean City – Fabulous Ocean Front Condo! 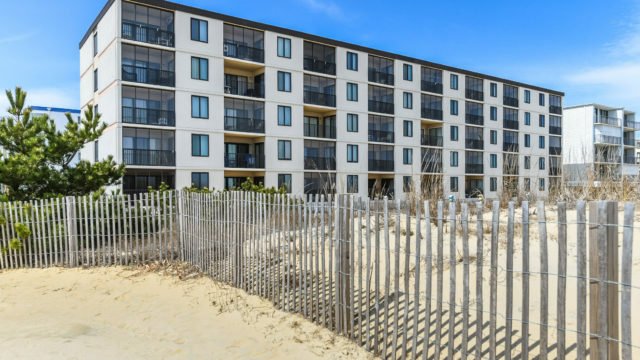 Savor the direct ocean front views from this coveted North Ocean City mid-rise building. 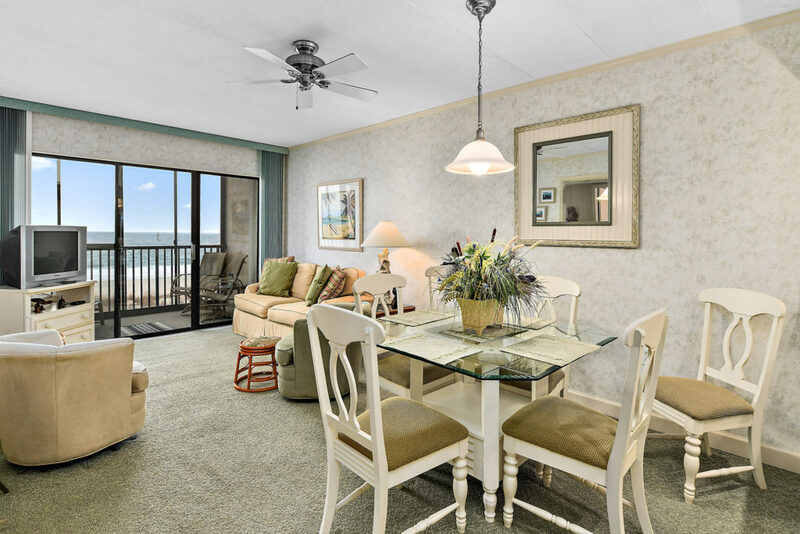 Features of this well maintained and recently updated unit include a water front balcony, open concept living space and ocean front master suite. 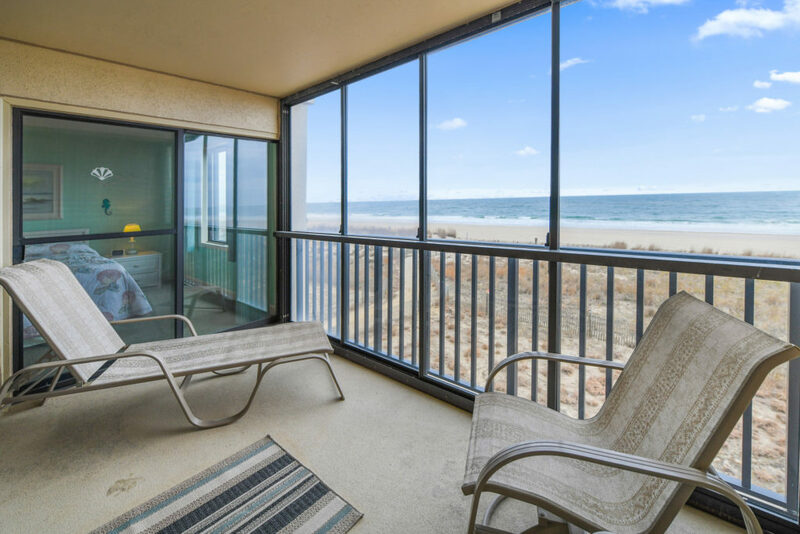 Soak in the sun, sand and surf from the covered balcony accessible from both the living room and master bedroom. The incredible views continue throughout the main living space which features a comfortable living room, separate dining area and updated kitchen. The crisp, white kitchen offers new cabinetry, silestone counter tops and modern lighting. Wake up to views of the water from the master suite. 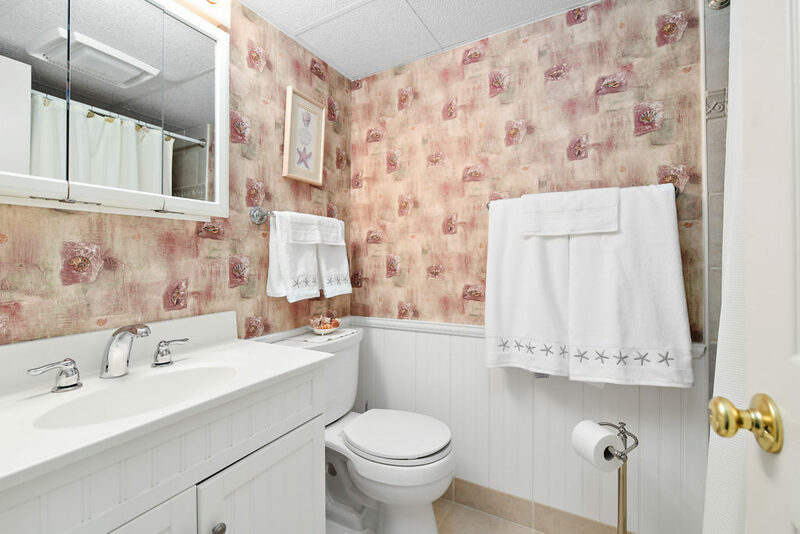 Features of the updated master bathroom include a new vanity, sink and flooring. Hosts friends and family with ease with a second bedroom and lovely updated full bath with new sink and toilet. Functional upgrades include updated plumbing in the kitchen, bathrooms and utility room, new ceramic tile flooring in the foyer and kitchen, relocating the water heater to the utility room and ceiling fans throughout. Eye catching features include 4 1/2 inch baseboards and raised paneled doors and trim. Building amenities include elevator service, private owners storage and bike storage. 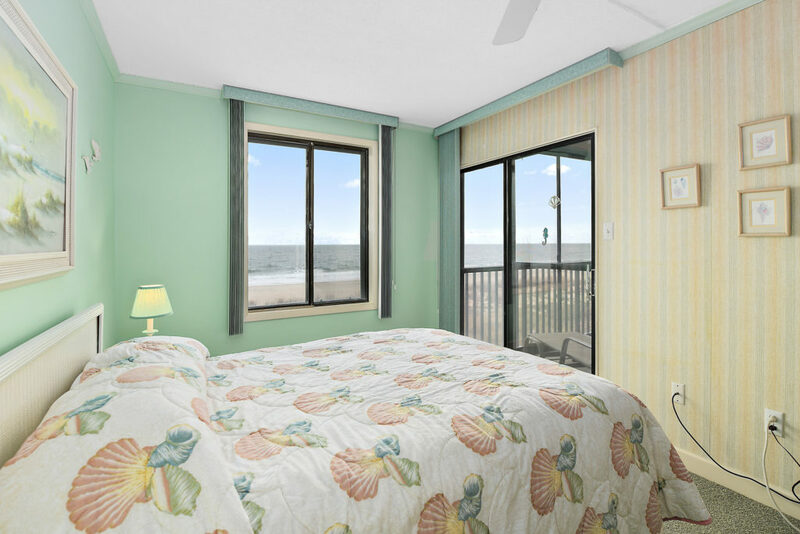 Enjoy the desirable North Ocean City location close to shops, dining and entertainment. Hurry, this one will not last! 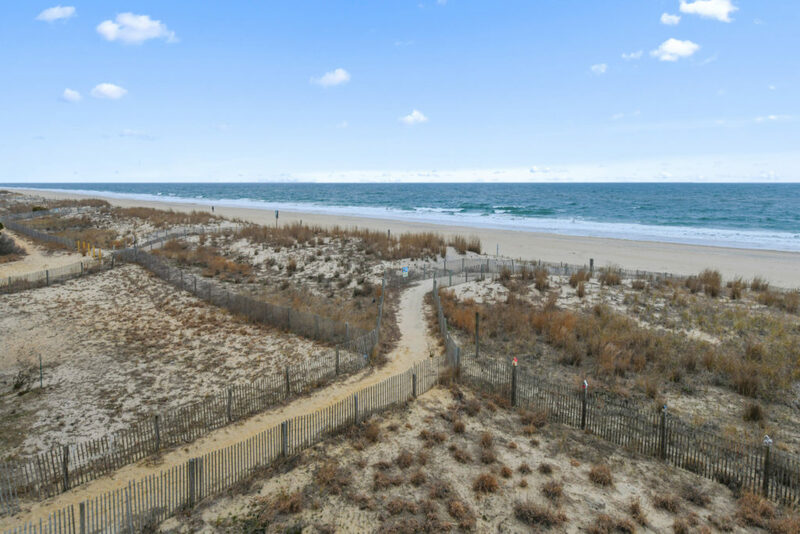 For More Information on This Listing or to View All of Our Listings, Go To OceanCityMDRealEstateSales.com – Contact Kevin or Monica Today at 410-723-6200 With Any Questions or to See This Home!